Another week is in the books and we are here to deliver another Fri-yay weekly recap for your reading pleasure! We are settling into fall out here in the desert and are enjoying the slow change in the seasons. School is in full swing for the kids and fall sports have started. We are also gearing up for a super fun and exciting Fall portrait season and we can't wait to share a few fun changes to our business with you all soon! In the meantime though, it's Friday and, for us, that means we take a few minutes to look back at the week that was and share a little bit about ourselves! This week was the beginning of our fall sport season and our oldest son Eli started soccer practice this week. Every time we do recreational sports in our community, we feel like we are checking off some sort of box on the "typical American family" checklist. Sometimes we even contemplate eating apple pie whilst also drinking Budweiser and having a hot dog while attending these "all-American" events, but we don't want to overdo it. Kidding aside, we love getting out in our community, meeting our neighbors, and just making new friends. In this age of social media and globalization, it is refreshing sometimes to get out and meet the people who live in the same neighborhoods that you do. 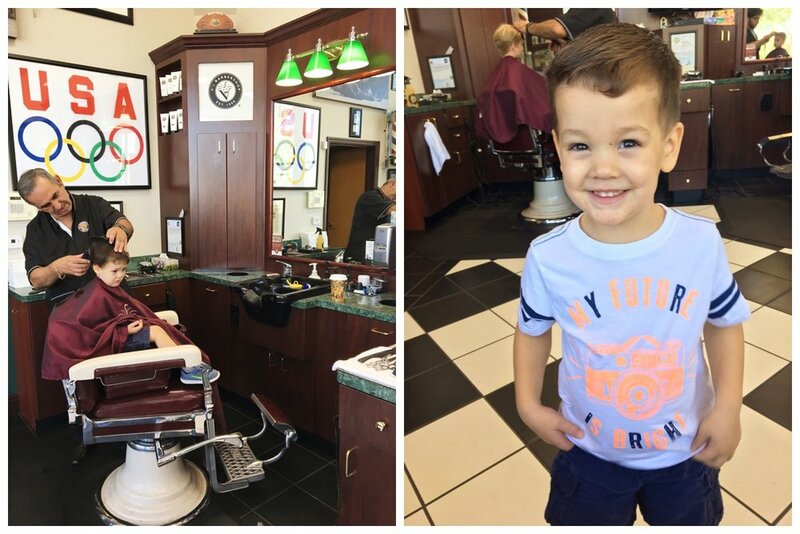 We also took the boys to get hair cuts this week for the first time in like a century. For real though, their hair was starting to look like a cross between a wet cat had a fight with a bunch of octopus tentacles and then they made up and decided to make a home on top of our kid's heads. We'd show you before and after pictures but they're seriously too graphic. This is a family establishment after all. You can understand our excitement when we found a local barber shop and evicted the octopus and wet cat that resided on top of their heads and made them look totally handsome again! Eli is always such a joyful child... can we say pre-teen??? Finally, fall family portrait season is in full swing around here and we are here to encourage all of you to get in front of the camera this year (especially you moms!) and take pictures with your family. Life is so fleeting and preserving the moments we have together in photographs is something that is near and dear to our hearts. We also want to encourage all of you to PRINT those pictures and HANG 'EM UP! They aren't doing anyone any good tucked away in some black hole on your hard drive. We would love to help you get in front of the camera and get some photographs of you and and your family this fall! And we'd also love to sit down with you and help you get some of those photos up and displayed in your home where they belong. We firmly believe that every family has a story worth telling. Let us help you tell yours.